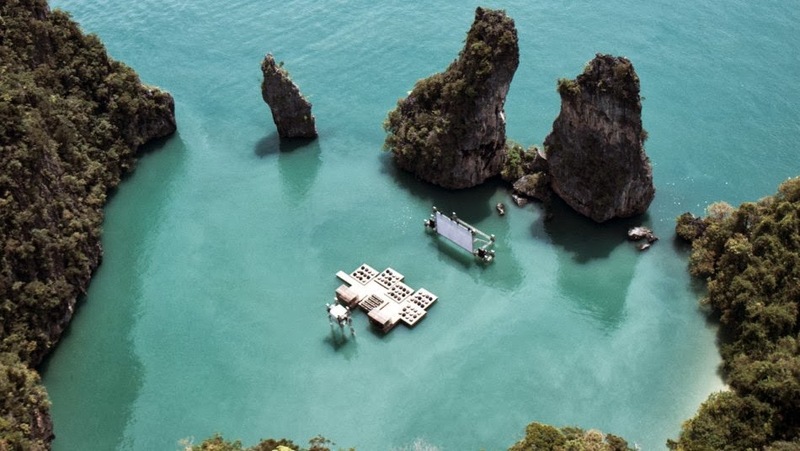 Archipelago Cinema, an auditorium raft designed to float on the sea, premiered at the inaugural edition of the Film on the Rocks Yao Noi Festival, curated by Apichatpong Weerasethakul and Tilda Swinton. 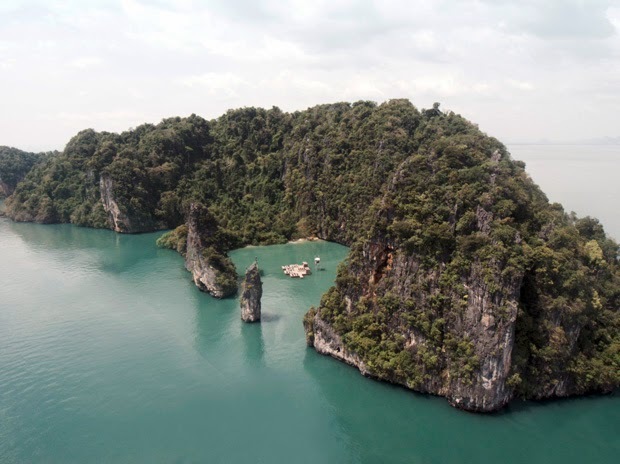 The Festival, which took place from 9th-12th March 2012, is set to become an annual meeting place for art and film. 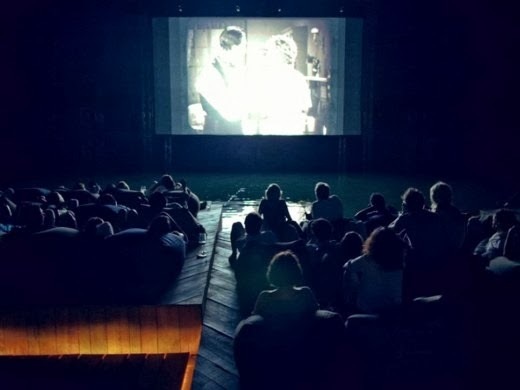 The final night of the first edition of Film on the Rocks Yao Noi took place on Archipelago Cinema, designed by German-born and Beijing-based architect Ole Scheeren. 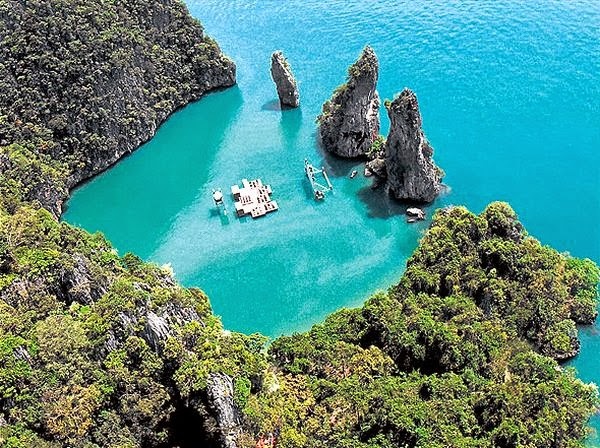 Guests were taken by boat through the darkness of the sea to arrive on a glowing raft in the middle of the quiet waters of Nai Pi Lae lagoon on Kudu Island. 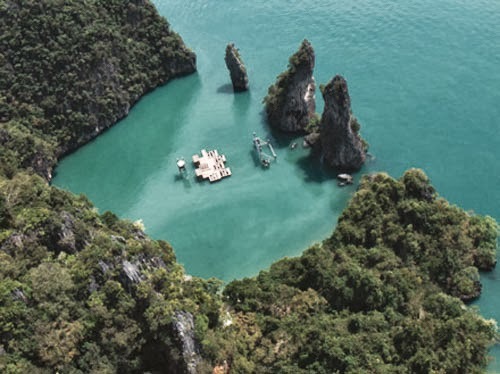 Surrounded by a dramatic landscape of towering rocks emerging from the ocean, the audience experienced an atmospheric convergence of nature and cinematic narratives – primordial notions of light, sound and stories suspended in the darkness between sea and sky. 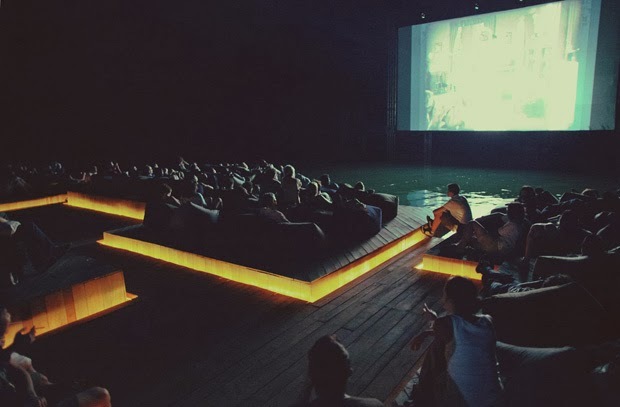 The thought of watching films here seemed surprising“ said Ole Scheeren. 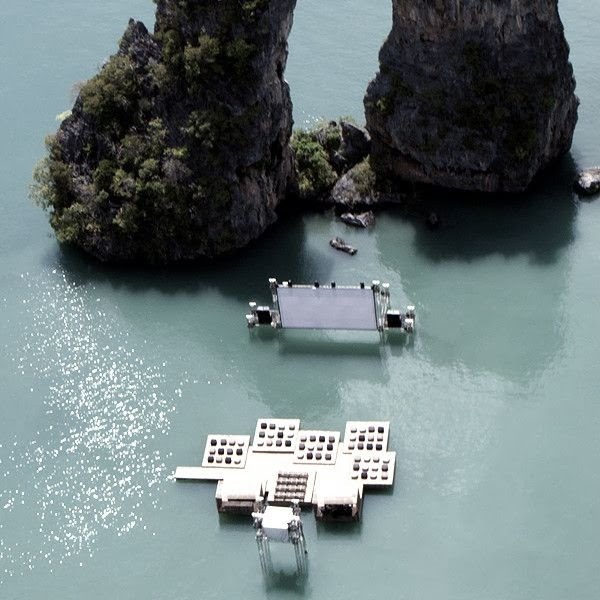 „A screen, nestled somewhere between the rocks. 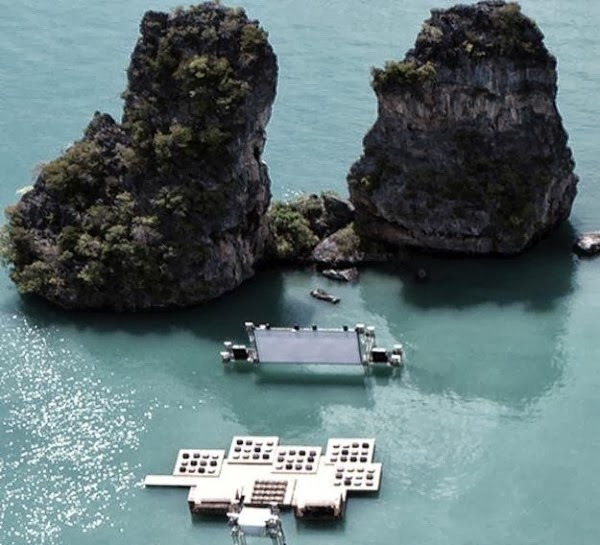 And the audience… floating… hovering above the sea, somewhere in the middle of this incredible space of the lagoon, focused on the moving images across the water: A sense of temporality, randomness, almost like driftwood. 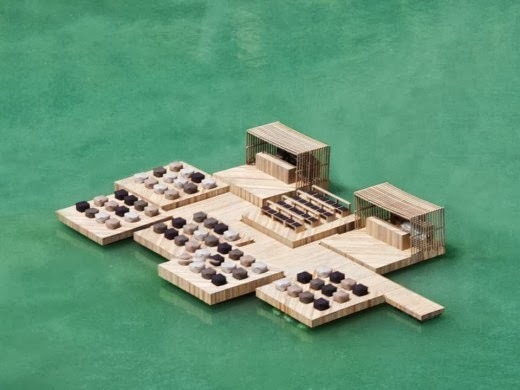 Or maybe something more architectural: Modular pieces, loosely assembled, like a group of little islands that congregate to form an auditorium.